Low-cost carrier Norwegian’s seemingly unstoppable ascent has hit turbulence on its United States routes. In a filing earlier this week, the Air Line Pilots Association challenged the airline’s application for a certificate to fly in the United States. 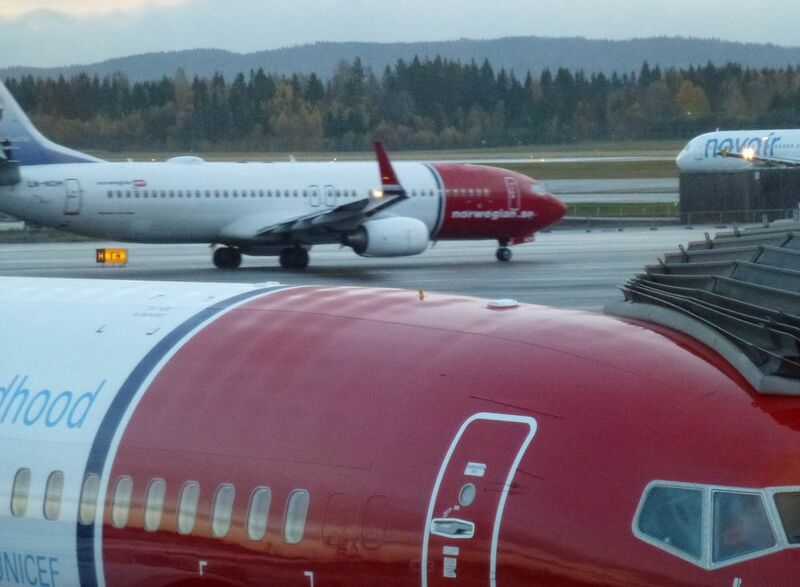 Now four major US airlines have joined the union in calling on the US Department of Transportation (DOT) to deny Norwegian’s application, a move that – if successful – threatens the future of Norwegian’s flights into New York and Fort Lauderdale and its future routes into Orlando, Oakland and Los Angeles from Scandinavia and London Gatwick. Norwegian has long aspired to be the first carrier to offer regularly scheduled, no frills, bargain-priced flights between Scandinavia and the United States and Asia. But the plan hit problems earlier this year when the Norway government ruled that the airline must follow national labor laws even for workers hired outside of the country. Company boss Bjorn Kjos takes prides in running the company lean but he was unable to get an exemption from his home country’s labor laws – a place with the highest cost of living in the world. In response, the airline applied for a certificate to operate as an Irish carrier. 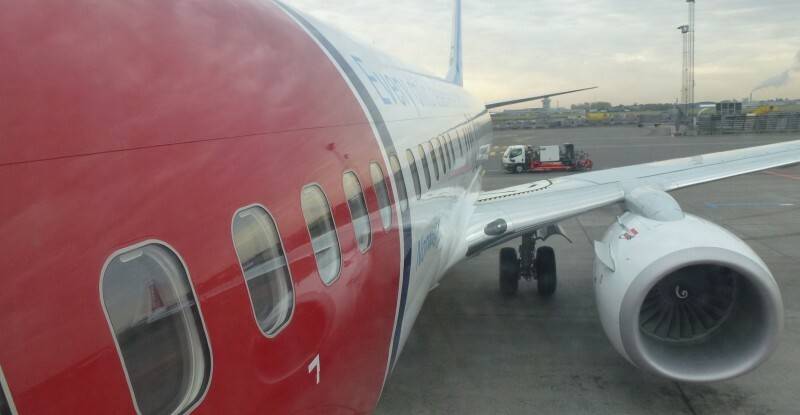 To get around the issue, Norwegian split the airline; leaving in Oslo the domestic and European flights on Boeing 737s and attempting to move the trans-oceanic Dreamliner operations to Ireland. “We have applied for an Irish AOC (air operating certificate) of which we are awaiting approval,” says Lasse Sandaker-Nielsen, an airline spokesman. In its letter to the DOT in Washington, however, the pilots’ union argues the airline’s purpose was to evade its home country’s social laws governing salary and working conditions.“Their terms of employment are substantially inferior to those of the non‐management pilots,” who work for the Oslo-based part of the airline, the letter says. “This is the first time we’ve seen someone use ultra long haul aviation to hire pilots under Singapore laws, fly them out of Bangkok, and get an air operating certificate into Ireland to get around labor and tax laws in Norway and fly out of another country like England and into the US,” says ALPA president Lee Moak describing the complex goings-on at the evolving airline. See what American Airlines, Delta Air Lines, United Airlines and US Airways are saying, by reading my blog, FLYING LESSONS. Sandaker-Niielsen says the ALPA characterization was “false and misleading” and that the airline offered competitive salaries and working conditions to all pilots regardless of where they are based. But ALPA claims there is a significant difference in wages and conditions between Norwegian flight crews and those hired through the Singapore staff agency. In fact, Kjos told me as much when I profiled him for an executive travel magazine piece last year. ALPA and the airlines’ challenge is based on the unfair labor argument and also claims that in considering whether foreign airlines can enter the United States, the DOT must determine if the move strengthens the competitive position of US air carriers to ensure equality with the foreign airlines. Allowing Norwegian to operate into the country would not meet that objective, the ALPA letter claims. US airlines are said to be watching the case with interest. The Irish operating certificate on which Norwegian’s long haul’s request to America is predicated has not been granted, so characterizing itself as an Irish operator is aspirational. The airline trade association, Airlines for America seized on this in asking that the US government hold off on granting Norwegian an operating certificate. One can assume that in Oslo, Norwegian executives are not enjoying the short work days and holiday parties that might normally be the case in mid-December. They have permission to fly into the US under their present Norwegian certificate but very soon they must use Norwegian labor. Alternatively, they can circumvent the labor issue but only by flying from a country and into a country where they do not yet have permissions to operate. As the end of their big year approaches, Bjorn Kjos’ ambitions have left the airline up in the air and it is anything but clear where it will land. Plenty of pilots want to fly. If you want your backside washed with rose water, leave the airline and let others fly it. Be my guest to fly for these exploiters. I have already flown for 32 years and refused to let them use my expertise after my retirement (paid for by a respectable airline who valued me as a person and not as a disposable ) for free.